Fish oil was originally consumed to get enough vitamin A and vitamin D, which for many years have been known to be important micronutrients for the bodys normal fuctions (homeostasis). It was not before the well-known publication by Dyerberg and Bang and their work on the Inuit diet in the mid-1970s, that the interest and awareness of the significance of the marine omega-3 polyunsaturated fatty acids (PUFAs) in human health increased. Inuit’s living in the arctic region had quite an unusual health pattern. Despite a high intake of both fat and cholesterol, their heart health was extremely good. These findings were quite controversial, since a high fat diet previously had been correlated to poor heart health. However, there was one difference between “other” high-fat diets and the Inuit diet; the source of the fat. In “other” high-fat diets, the fat and cholesterol were mainly of animal and vegetable origin, while the diet of the Inuit’s was mainly marine based ("Sushi" from raw whale, seal and fish meat). The positive effect of the Inuit diet was partly explained by the high intake of the two marine omega-3 fatty acids, eicosapentaenoic acid (EPA, C20:5) and docosahexaenoic acid (DHA, C22:6) . Similar effects have later also been observed in other communities, like the Japanese and Mediterranean countries, known for high intake of natural antioxidants like polyphenols and marine foods . Genetic factors determine susceptibility to many diseases, while environmental factors such as nutrition and physical activities influence which genetically susceptible individuals will be affected. The spontaneous mutation rate for nuclear DNA is estimated to be 0.5 % per million years. Thus, our genetic profile today is very similar to the one of our ancestors that was formed 40,000 - 50,000 years ago and shaped around their diet. During the last 150 years, there has been a substantial change in the food components included in our diet, mainly due to industrialisation of agriculture and food production, increasing the intake of vegetable plants and fats . Limitations in the availability of marine resources, combined with an increase in aquaculture, have led to an increase in the use of alternative protein and lipid sources in aquafeed. For instance have vegetable oils been recognized as suitable alternatives to fish oils in fishfeed [4, 5]. However, replacing oils of marine origin with vegetables oils in fish feed changes the fatty acids composition of the fish, increasing the level of omega-6 fatty acids such as linoleic acid (LA, C18:2) and arachidonic acid (AA, C18:3), and decreasing the amount of omega-3 fatty acids such as eicosapentaenoic acid (EPA, C 20:5) and docosahexaenoic acid (DHA, C 22:6). As summarized by Alvheim , these changes, being a result of both increased availability of vegetable oils and public recommendation of replacing saturated fatty acids with vegetable oils [7-10], have led to an unfortunate imbalance between omega-6 and omega-3 fatty acids in our diet . Fish oil is a very delicate product due to the high content of the long chained polyunsaturated fatty acids (PUFAs). Hence, it is important that the quality is ensured in every step from catching until the final product is consumed, and even after. Critical processes and relevant parameters which need to be considered when producing fish oil is the content of omega-3 fatty acids, crude oil processing, refining of the oil, packaging, analytical methods, avoidance of lipid oxidation, antioxidant content, storage and application of the fish oil . Before modern technology was introduced to food processing organically sourced and unprocessed oils were the only options available for dietary consumption. Nowadays most oils that we consume have been processed or refined. The refining process makes the product palatable and guarantees that it complies with regulations regarding contaminants. Fish oil refining comprises the following steps: neutralisation to remove free fatty acids that give off-taste; bleaching to reduce colour and remove contaminants; winterisation to improve clarity at low temperatures; and deodorisation to removes volatiles compounds that give off-flavour as well as contaminants. As described, the refining process eliminates all flavours, odours and contaminants that might be harmful or spoil the quality of the product. However, the refining process also removes compounds like natural antioxidants, vitamins and other minor components. The removal of these important nutrients and compounds is only partly compensated for by re-introducing antioxidants for stabilization purposes, such as tocopherols (vitamin E). Tocopherols may contribute to stabilize the fish oil on the shelf, but it does not work properly in the body. On the other hand, the addition of polyphenols from olive stabilizes the fish oil both on the shelf and in the body. This is the reason why BioActive Foods selected polyphenols from olive as the main antioxidant in the 1Life Active products. In Norway, vitamin D is also commonly added to fish oil supplements, because more than half of the adult population have a lower vitamin D intake than recommended by the nutritional guidelines. Hence, fish and fish oil supplements are considered good sources of vitamin D in Norway . Refined fish oils should be almost free from impurities . EU regulations provide the maximum allowed levels of environmental contaminants in foodstuff and marine oils, including heavy metals, dioxins and PCB`s (No. 629/2008  and No. 1259/2011 ). In addition to the EU regulations, the Council for Responsible Nutrition and the Global Organization for EPA and DHA Omega-3 (GOED) has developed a voluntary monograph for the industry to help ensure that omega-3 oils reaching consumers are of high quality . The fatty acid composition of fish oils differs from both vegetable oils and animal fats. The most important differences being that fish oil fatty acids have a wider range of chain lengths (from 12-24 carbons), a higher degree of unsaturation (up to 6 double bonds), and a lower level of odd numbered and branched chains. Most importantly, fish oil contains significant quantities of the omega-3 bioactive long-chained polyunsaturated fatty acids EPA and DHA. The EPA content normally differs between fish species, while the variations in DHA content are smaller . Fish oils contains between 100-300 g/kg omega-3 fatty acids. The exact level is affected by age, season, fish species and area of living. As an example; fish living in cold water have higher amounts of EPA and DHA than fish living in warm waters. 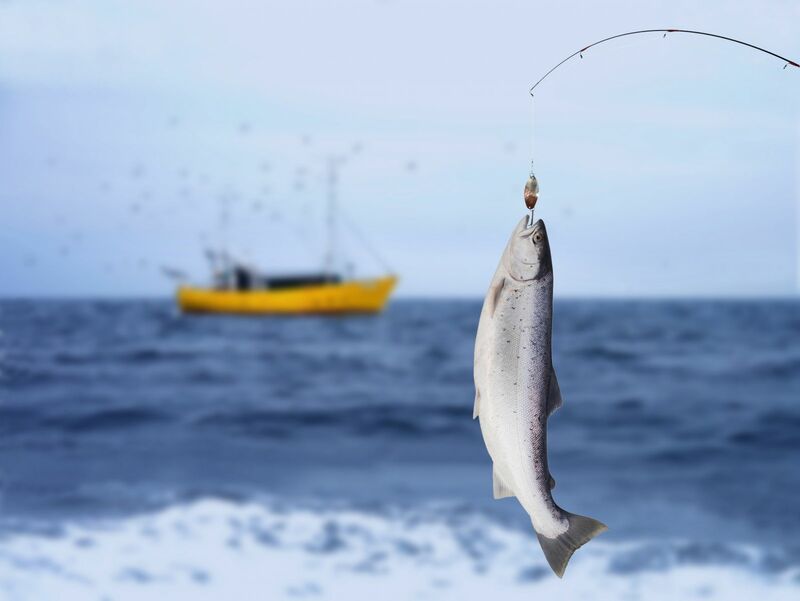 The low melting point of long chained polyunsaturated fatty acids enables fish to move more easily in cold waters . Triglycerides are the main lipid complex found in fish oils. Humans are able to digest triglycerides both rapidly and efficiently. If you want to learn more about the differences in digestibility and bioaccessibility of fatty acids found in different types of lipid complexes like triglyceridens, ethyl esters and phospholipids, you may read the capter "Digestion of lipids". EPA and DHA are two omega-3 fatty acids in fish oils that have certain bioactive properties. Many scientific studies have shown that these marine omega-3 PUFAs have beneficial effects on several metabolic factors [19, 20]. Furthermore, the inclusion of fatty fish in diet has also been shown to promote good heart health, and to be beneficial for both cognitive functions and in mental health [21, 22]. These beneficial effects have been linked both to the reduction of serum triglycerides and to the balancing effect on silent inflammation [23, 24]. National nutritional recommendations are provided by public bodies regarding specific intake of macro- and micronutrients. In Norway, this is done by the National Board of Nutrition, which is a part of the Norwegian Directorate of Health. The aim of these recommendations is to promote public health by focusing on primary prevention of diet-induced chronic health issues within the adult population. Specific guidelines are made for this purpose. In Norway there are no specific dietary recommendations for intake of EPA and DHA, however, it is recommended that 5-10 E% of the total energy intake are derived from polyunsaturated fatty acids (PUFAs). Furthermore that at least 1 E% of these PUFAs should be omega-3 PUFAs. Norwegians are also recommended to eat 300-450 g fish/week (of which 200 g should be fatty fish) . The recommendations mentioned above are based on minimum amount necessary to maintain apparently normal physiology . However, as summarized by Alvheim , providing minimum requirement of nutrients may not be sufficient to prevent development of life style related health issues resulting from excessive intake of certain nutrients . An actual example is the high intake of omega-6 fatty acids compared to the low intake of omega-3 fatty acids from our diet. As we are genetically disposed to eat approximately equal amounts of these fatty acids, this imbalance is suggested to influence the chronic inflammatory state of a body, and to be a driving force in the development of different lifestyle related health problems. DHA maternal intake contributes to the normal brain development of the foetus and breastfed infants (0.2 g DHA plus the daily recommended intake of omega-3 fatty acids (EPA+DHA) for adults which is 0.25 g per day). Dyerberg, J. and H.O. Bang, Haemostatic function and platelet polyunsaturated fatty acids in Eskimos. Lancet, 1979. 2(8140): p. 433-5. Rice, R.D., Fish consumption and health - an overview, in FISH OIL - Technology, Nutrition and Marketing, R.J. Hamilton and R.D. Rice, Editors. 2007, PJ Barnes and Associates: Hull, UK. Simopoulos, A.P., Evolutionary aspects of omega-3 fatty acids in the food supply. Prostaglandins, Leukotrienes and Essential Fatty Acids, 1999. 60(5-6): p. 421-429. Torstensen, B.E., et al., Tailoring of Atlantic salmon (Salmo salar L.) flesh lipid composition and sensory quality by replacing fish oil with a vegetable oil blend. J Agric Food Chem, 2005. 53(26): p. 10166-78. Turchinin, G.M., B.E. Torstensen, and W.-K. Ng, Fish oil replacement in finfish nutrition. Reviews in Aquaculture, 2009. 1(1): p. 10-57. Alvheim, A.R., Dietary linoleic acid induces obesity through excessive endocannabinoid activity., in National Institute of Nutrition and Seafood Research (NIFES). 2012, University of Bergen. Kannel, W.B., et al., Serum cholesterol, lipoproteins, and the risk of coronary heart disease. The Framingham study. Ann Intern Med, 1971. 74(1): p. 1-12. Kannel, W.B., et al., Risk Factors in Coronary Heart Disease: An Evaluation of Several Serum Lipids as Predictors of Coronary HEart Disease: The Framingham Study. Annals of Internal Medicine, 1964. 61(5): p. 888-899. Keys, A., J.T. Anderson, and F. Grande, Serum cholesterol response to changes in the diet: IV. Particular saturated fatty acids in the diet. Metabolism, 1965. 14(7): p. 776-787. Keys, A. and R.W. Parlin, Serum Cholesterol Response to Changes in Dietary Lipids. The American Journal of Clinical Nutrition, 1965. 19(3): p. 175-181. Blasbalg, T.L., et al., Changes in consumption of omega-3 and omega-6 fatty acids in the United States during the 20th century. The American Journal of Clinical Nutrition, 2011. 93(5): p. 950-962. Vinter, H., Production og high quality fish oils, in FISH OIL - Technology, Nutrition and Marketing, R.J. Hamilton and R.D. Rice, Editors. 2007, PJ Barnes and Associates: Hull, UK. Allen, D.A., Fish oil compositions, in FISH OIL - Technology, Nutrition and Marketing, R.J. Hamilton and R.D. Rice, Editors. 2007, PJ Barnes and Associates: Hull, UK. EU. Commission regulation (EC) No 629/2008 amending Regulation (EC) No 1881/2006 setting maximum levels for certain contaminants in foodstuffs. 2008; Available from: http://eur-lex.europa.eu/LexUriServ/LexUriServ.do?uri=OJ:L:2008:173:0006:0009:EN:PDF. EU. Commission regulation (EU) No 1259/2011 amending Regulation (EC) No 1881/2006 as regards maximum levels for dioxins, dioxin-like PCBs and non dioxin-like PCBs in foodstuffs. 2011 [cited 2014 17.06]; Available from: http://eur-lex.europa.eu/LexUriServ/LexUriServ.do?uri=OJ:L:2011:320:0018:0023:EN:PDF. GOED. Quality standards: GOED maintains and updates the GOED voluntary monograph quality standard for EPA and DHA oils. 2014 [cited 2014 17.06]; Available from: http://www.goedomega3.com/index.php/our-members/quality-standards. Haugen, M., et al., Assessment of vitamin A and D in food supplements, N.S.C.f.F.S. (VKM), Editor. 2013. Kolakowska, A., et al., Lipid changes and sensory quality of whole- and gutted rainbow trout during storage in ice. Acta Ichthyologica et Piscateoria, 2006. 36(1): p. 39-47. Marckmann, P. and M. Gronbaek, Fish consumption and coronary heart disease mortality. A systematic review of prospective cohort studies. Eur J Clin Nutr, 1999. 53(8): p. 585-90. Valagussa, F., M.G. Franzosi, and E. Geraci, Dietary supplementation with n-3 polyunsaturated fatty acids and vitamin E after myocardial infarction: results of the GISSI-Prevenzione trial. Am J Clin Nutr, 1999. 354: p. 131. Hu, F.B., et al., Fish and long-chain omega-3 fatty acid intake and risk of coronary heart disease and total mortality in diabetic women. Circulation, 2003. 107(14): p. 1852-7. Kostråd for å fremme folkehelsen og forebygge kroniske sykdommer - Metodologi og vitenskapelig kunnskapsgrunnlag Nasjonalt råd for Ernæring 2011. 2011 [cited 2014 04.06]; Available from: http://helsedirektoratet.no/publikasjoner/kostrad-for-a-fremme-folkehelsen-og-forebygge-kroniske-sykdommer/Publikasjoner/kostrad-for-a-fremme-folkehelsen-2011.pdf. Lands, W.E., Biochemistry and physiology of n-3 fatty acids. The FASEB Journal, 1992. 6(8): p. 2530-2536. DRI, Dietary Reference Intakes: The Essential Guide to Nutrient Requirements, ed. J.J. Otten, J.P. Hellwig, and L.D. Meyers. 2006: The National Academies Press.